How’s that rich, colourful, vibrant multiculti tapestry working out on the ground, airside. How’s that rich, vibrant, colourful multiculti tapestry working out on the ground, airside?? Detectives are studying CCTV footage from Charles de Gaulle airport in Paris to determine whether an employee might have participated in a terror attack on the EgyptAir flight to Cairo. Authorities fear that radical Islamists might have slipped through vetting procedures to join the 82,000 people with airside security clearance. French officials say that Charles de Gaulle is among the world’s most tightly controlled airports. The discovery of jihadist collusion there would have far-reaching implications for air travel around the world. In theory, all employees working airside at the airport – such as baggage handlers and maintenance staff – are vetted by the police. In practice, the vetting procedure consists of little more than a study of the candidate’s criminal record and of the French intelligence agencies’ “S” list of people regarded as a threat to national security. As a result, it is almost impossible for officers to carry out more than summary checks on them, a police source said. 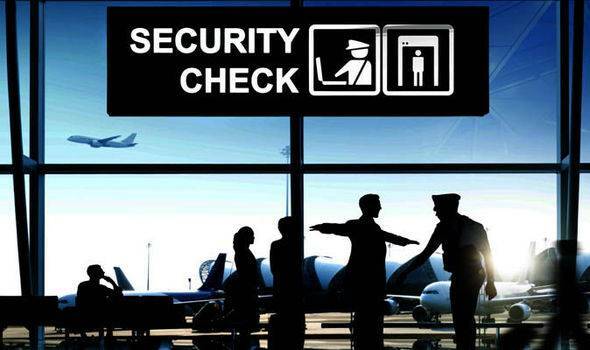 After the Paris terror attacks in January and November last year, the Central Direction of Interior Intelligence – the French equivalent of MI5 – was ordered to check all Muslims with airside security passes in airports. Radicals were to be weeded out. More that 60 passes were withdrawn for “inappropriate behaviour”, such as a refusal to trim a beard or to shake hands with female colleagues. Some employees had their passes withdrawn for praying in Salafist mosques, others because a copy of the Koran was found in their lockers. Some were said to have expressed support for the jihadists who killed 130 people in Paris six months ago. Critics say that the intelligence campaign had fuelled resentment among French Muslims without necessarily pinpointing potential terrorists. Mr Nybelen said that the security threat came not from Islamist influence among airport staff but from overwork amid a drive to cut costs. He said security staff carried out only basic checks on planes, such as the EgyptAir Airbus, making short stopovers at the airport. If a bomb had been hidden on the plane in Cairo, Tunis or Asmara, to which it had flown earlier in the day, staff in Paris would be unlikely to find it, he said.